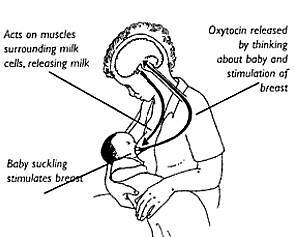 Last week, we talked about the role of endorphins in natural childbirth and today we turn our focus to oxytocin, another crucial hormone in the symphony of chemicals created naturally in the body to help mom and baby through childbirth. There are four major hormonal systems active during labor: endorphins, oxytocin, adrenaline and noradrenaline, and prolactin. Older PostHappy Halloween from Health Foundations!